Ever wished you had just the right words to say when you encounter someone in grief? Do you feel uncomfortable being with others in emotional pain? Are you afraid that you might make them cry? Have you ever avoided someone because you didn’t know what to say or do? Many of us have fears about being with others who are hurting. 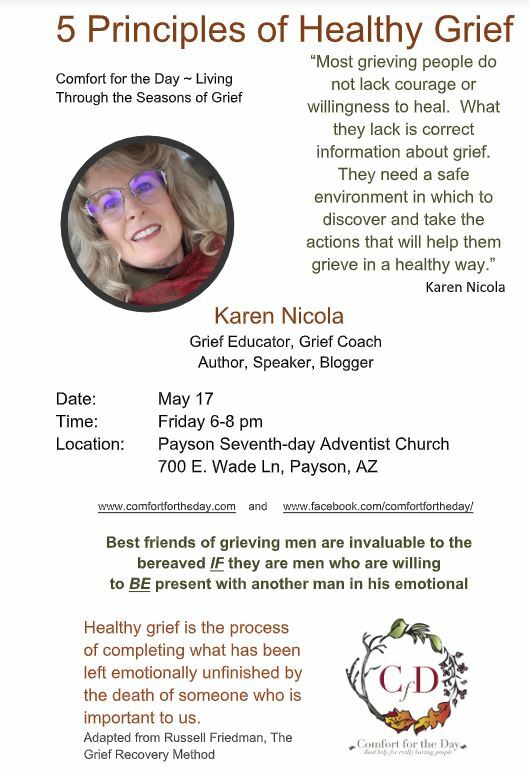 After a Skillful Comforter Options Workshop with Karen, you will have greater confidence, plus new tools to use when you meet those who mourn. 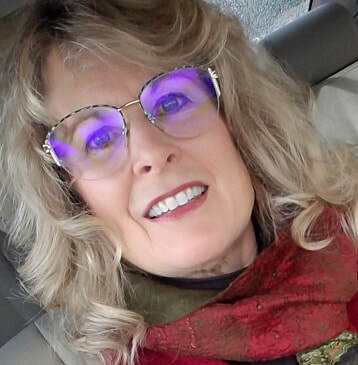 In her highly interactive and informative workshop, you will discover new ideas and protocols that bring healing for the broken hearted people around you. 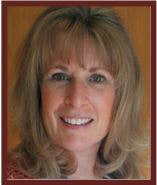 It is Karen’s purpose to prepare her audience to function with grace and ease around the bereaved. Her dream is that more people become renowned comforters to the grieving. What to anticipate: Please set aside 3 hours to be taught, encouraged, discover, interact and make a bereavement care plan to put the art of comforting others into practice. When the waves of grief are more than we can endure, when confusion and pain are our constant companions after loss, or when it is difficult to interact with others, Healthy Grief Options is the place to be. You will find support, understanding, encouragement and tools to process the pain. But more important than these, you will be introduced to the One who knows and understands your grief more than anyone else. Come discover resources that will meet each of your grieving experiences. This 2 hour seminar will include the book entitled, Comfort for the Day, hands on exercises to process your pain, the possibility of making a few new friends, and a safe place to be real with your hurting heart. Learning what healthy grief options are can make all the difference in your present or future. This weekend includes 7 hours of grief education training and one Saturday morning message. In a culture that does not know how to grieve well, these 2 hours explain the top 5 healthy grief options. This workshop is a useful and engaging overview of current grief education. Small group interaction and discussions create a positive and supportive learning environment. Those who are grieving a loss AND all who really want to know how to comfort them will gain effective new healthy grief tools. Many of us have fears about being with others who are hurting. In this workshop, you will discover your personal comfort skill sets, gain greater confidence about what to say, and practice the art of comfort listening. Attendees also experience the positive outcome of intentionally supporting a grieving friend with a team. It is Karen’s purpose to prepare her audience to function with grace and ease around the bereaved. This engaging and informative session walks attendees through the steps to establishing a highly effective Grief Care Ministry Team. The 2 hour session allows for extensive questions and answers so those attending have a full picture of how to make a long term individualized plan for those who grieve. In addition, detailed guidelines for team development are also discussed. At the end of this session, your church will be well on your way to effectively comforting those who grieve. Following the 5 Principles of Healthy Grieving and Becoming Skillful Comforters workshops, many churches are interested in launching a Grief Care Ministry Team. This training helps the church be prepared in advance for the needs of those who will mourn the death of a loved one. This engaging and informative session walks attendees through the steps to take in establishing a highly effective Grief Care Ministry Team. The hour and a half session allows for extensive questions and answers so that those attending have a full picture of how to make a long term individualized plan for those who grieve. Karen’s work with bereavement awareness and care began after the death of her 3 year old son to leukemia in 1985. Through seminars, articles, blogging, and her book, she is making a difference by helping others understand the grief experience. Her gentle wisdom and compassion helps her audience feel at ease while discovering new paths towards healing.